Any average, well drained soil in an easily accessible site. Hardy in cold climates provided plant is well-rooted and mulched. If desired, small plants can be potted up in autumn and grown through winter indoors. Strawberry, Capsicum, Tomato, Brussels Sprouts, Cauliflower, Kohlrabi, Turnip, Cabbage and Beans. Start with a purchased plant, or start seeds indoors and set out at about the time of your last frost. Some strains are propagated only from cuttings. 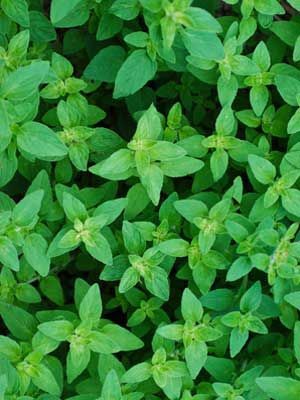 Authentic Greek oregano can be grown from seeds or plants. Frequent pinching back helps to keep plants bushy and full, and it delays flowering. Some strains are grown for their pretty pink flowers. Oregano often spreads in hospitable spots. Moderately invasive. Control oregano's spread by cutting back flowering stems when their colours fade.